Please Welcome TCSYO Artistic Music Director - Dr. Cheri Collins! Dr. Cheri Collins graduated from the Manhattan School of Music in New York City, where she earned a Bachelor of Performance on Violin. She attended the Manhattan School of Music on full scholarship and was one of two freshmen violinists chosen that year to study with the Russian-born violin professor, Raphael Bronstein. After graduation, Dr. Collins worked in São Paulo, Brazil, playing first violin in the São Paulo Symphony. Two months after her arrival, the conductor asked her to teach 48 violin students, ages twelve and thirteen, at a music camp in the mountains of Campos do Jordao as part of a government-sponsored pilot program. The pilot program provided an opportunity to children from small towns and villages to have lessons, sectionals, and an orchestral experience. Dr. Collins insists that it was this particular experience, coupled with her inability to speak Portuguese that defined and created her style of teaching and relating to young musicians. Due to her success that summer, the program was fully funded and incorporated as a permanent part of the music camp the following year. Dr. Collins played first violin with the Florida Orchestra in Tampa, Florida (formerly the Florida Gulf Coast Symphony) from 1978 to 1984, and then she moved to Northern Virginia to begin a varied and successful freelance career. Some highlights of her freelance years include performances with the American Chamber Orchestra, Baltimore Opera, and the National Symphony Orchestra. She also performed as first violinist in the Canterbury String Quartet, Fairfax Symphony, Amadeus Chamber Orchestra, and as a recording artist for National Geographic’s Discovery series. From 1990 to the present, Dr. Collins’ career has been focused on her passion for teaching. Since joining Fairfax County Public Schools, she completed a Masters degree in Conducting and a Doctor of Arts degree in Higher Education and Violin Performance at George Mason University. Her Dissertation, Connecting Science and the Musical Arts in Teaching Tone Quality: Integrating Helmholtz Motion and Master Violin Teachers’ Pedagogies, focuses on the physics of the vibrating string and its relationship to tone production. Dr. Collins contributes to Ovation Press String Visions, an on-line resource center that aims to inform and inspire contemporary classical musicians using the latest news and discoveries. Her articles are also published in the American String Teachers Magazine. 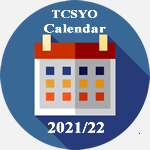 At the conclusion of her nine-year tenure with AYSE, Dr. Collins joins TCSYO to assume the roles of Artistic Music Director, and Principal Conductor for TCSYO’s Summer Camp, Chamber, and Symphonic Orchestras. Washington, DC. on July 12 & 13, 2017. Dr. Collins spends a little down-time with her orchestra members.